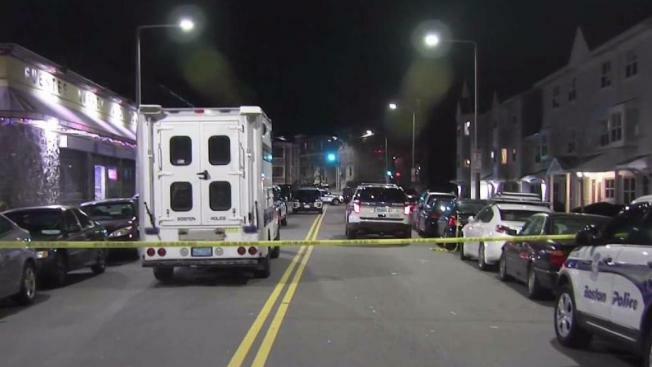 Three people were shot, with one succumbing to his injuries, near a community center in Boston's Mission Hill neighborhood. Three people were shot, one fatally, in Boston's Mission Hill neighborhood Wednesday evening. Boston Police say three male victims, all possibly in their late teens, were shot near the intersection of Tremont Street and Parker Street. Officers were called to the scene around 7:45 p.m. Authorities initally reported two victims had been shot, but police confirmed a third patient shortly before 8:30 p.m.
Police said around 9 p.m. that one of the victims had died. One of the other victims is in critical condition, and the other is in serious condition. The shooting happened near the Tobin Community Center, where hundreds of children were inside at the time. Police did not announce Wednesday night that any arrests had been made.